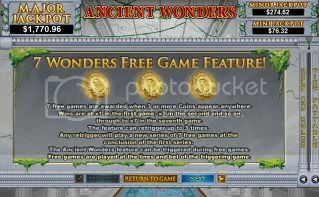 Wonders feature and then there is the free spins feature. All wins pay from left to right apart from the scatters which can pay anywhere. awarded up to 100 times the triggering bet. 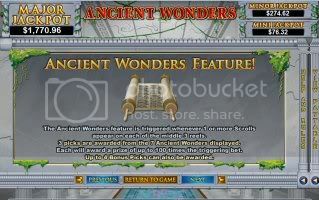 7 free spins will be awarded when the free spins feature is triggered. has a 2 times multiplier and spin 3 has a 3 times multiplier. up to the 7th spin. I thought this was a pretty generous slot finally from NuWorks! !